Merry Christmas everyone! Hope your Christmas day is going well. 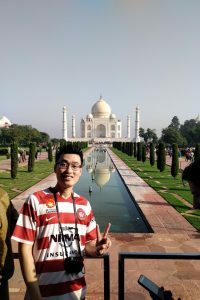 So today will be my final post of 2018! I’m going to take a few weeks off and kick off some more cHEwY posts around the middle of January. 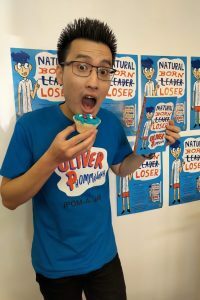 The 8th cHEwY creation, Natural Born Loser! If my journey was like Marvel’s Cinematic Universe plans, this would be the start of Phase 3 (more on this in a later blog), and what a way to kick it off with Natural Born Loser. Also notable is that The Other Christy was shortlisted for the Adelaide Literature Awards, and I had a few short stories published in Total Quack Up and a Miniature Christmas. Meeting the mighty Jeff Kinnely! The festivals this year have been so much fun, but let’s start with the big one. 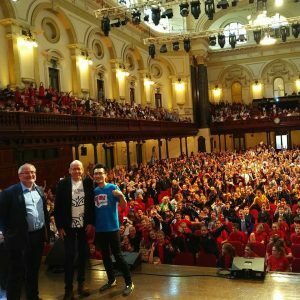 I was lucky to host the primary schools program at this year’s Sydney Writers Festival, where I got to introduce my hero Morris G to the stage four times, and each of those times was special. I also saw a wacky poet and storyteller A.F Harrold teach me how to perform in a new surreal way. The biggest fanboy moment was meeting Jeff Kinnely backstage at a special event in the Town Hall. He was so grounded (as I thought he would be) and well…I was kinda speechless, which is quite rare haha. The travelling has been hectic! 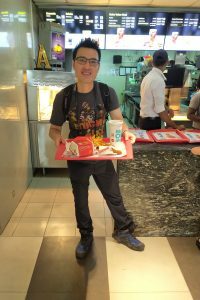 2018 was the year of international travelling for me…I’ve spent 3 months away from Australia, mostly for work, thanks to some cool festivals and school tours. So I had to mix some pleasure with the work. 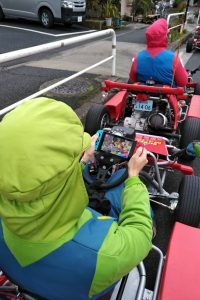 This included doing real life ‘Mario Kart’ in Tokyo. Driving up to 6okm on the rainbow bridge at night was fun (and dangerous when you kinda think about it LOL). 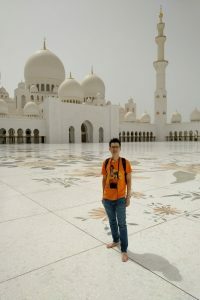 The Sharjah Reading Festival allowed me to take a trip to Abu Dhabi, where I visited the majestic Sheikh Zayed Mosque. Then I used the NEEV festival in Bangalore to slingshot me to the Taj Mahal haha. Honestly, pictures don’t do this place justice, you have to go there. Closer to home, I finally ticked off Bryon Writers Festival off my list and while you can read it about here, I can see why people raved about this special weekend. Meeting a ton of cHEwY gum gums! One joy that will never go away is meeting kids all over the world, at schools and festivals. 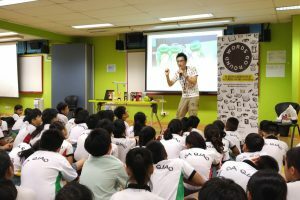 There is a thrill in refining my talk, milking new jokes and perfecting my key 40 minute presentation to make kids laugh haha. 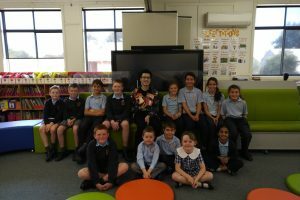 From small country towns to large gigantic schools, it was a delight to share my love of reading and writing around. 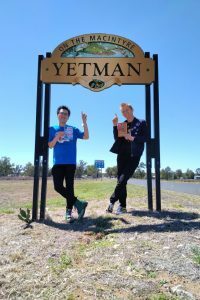 One highlight was the visit to Yetman, with fellow author pal Mick Elliott, for National Reading Hour (more on this one here) where you realise how much of a big deal it is visiting these remote places. Yeah I may not be mega-famous, but to these kids, I’ll pretend to be hehe. 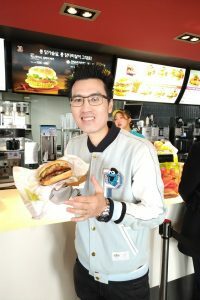 I hit a few burger goals too! Happy Christmas, Oliver. I hope 2019 is just as brilliant as 2018.